Here's another exciting Retail Review! This week I went to the local Target store and picked out a blaster box of 11/12 Upper Deck Series 2. There wasn't really a great selection of hockey products so I just went with my gut feeling and took this box off the store shelf. There were two UD2 blasters and both looked like someone had sat on them... but I figured it would still be a safe bet. Yup... all the cards were 'ok'. Upper Deck blaster boxes are not the cheapest things in the world. It costs $20 for basically 2 Young Gun cards and a few inserts if you're lucky. 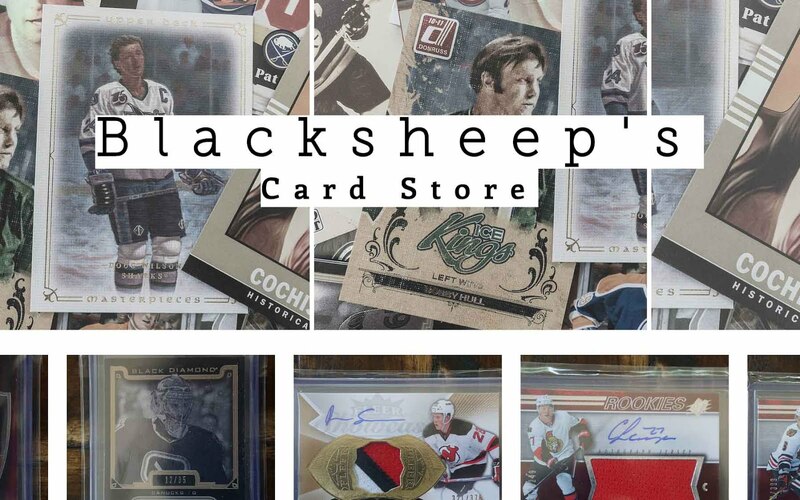 Being a retail product, there is obviously no chance at getting any of the cooler hobby exclusive cards such as Exclusives inserts or autographed cards... and there's only a slim chance of pulling a jersey card. So I usually shy away from UD blasters unless there is a strong crop of Young Gun cards... sadly 11/12 Series 2 is not the place to get the best Young Guns. So why did I buy this box? Well, there are some marginally exciting Young Guns in Series 2 like Zack Kassian, Louis Leblanc, and Carl Hagelin, and there's always the possibility of getting nice Canvas or MVP/Victory rookies of guys like Ryan Nugent-Hopkins and Gabriel Landeskog. But yeah, this year's Series 2 blaster is not so good value-wise... especially knowing that I could pick up a hobby box at Dave and Adam's card world for $59 (the price of 3 blasters) and get more stuff out of it. Oh well, that's retail for you! I would have to say that this particular blaster box was pretty good in terms of the rookie names that were pulled out. I obviously didn't hit the big two for the year, but there were solid guys in the product - and that's why I actually like opening up UD2 this year. Because UD put updates of Victory, OPC, and MVP into UD2, the product actually has a bunch of stuff to look forward to when busting packs. It was nice to pull out cards of Sean Couturier, Mark Scheifele, Zack Kassian, and Mika Zibanejad all in one blaster. It made the box feel like it was actually worth it. 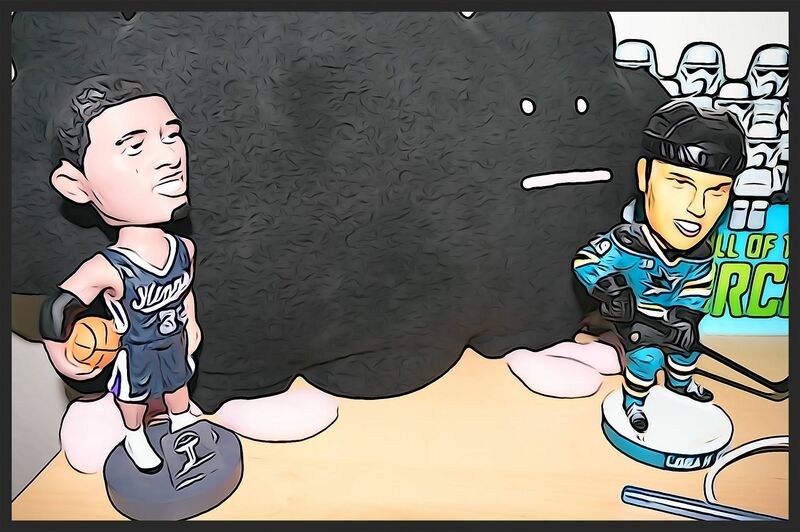 Of course... checking eBay I found out that adding all those guys together along with my 2 Young Guns would only cost me around $10 to buy sobered me up from those good feelings :( ...oh well... I think that there will be people at least interested in trading for some of these cards so that makes things a little better. 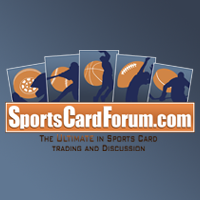 For my top 3 cards this week I will not focus on value. Instead, I'll focus on the cards I liked the most in terms of photography. Upper Deck Series 1 and 2 always without fail has some of the best photography in the hobby. So for my top 3 I've chosen my favorite cards featuring the puck and player! 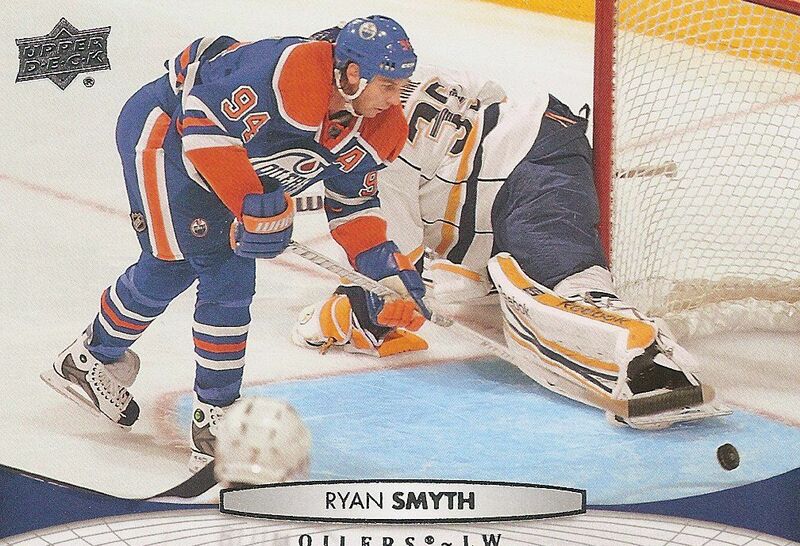 What a great shot of Smyth eying the puck as it is about to go into the net on Pekka Rinne. This card makes it look like things could have happend pretty slowly or that this could have been a grinding type goal by Smyth, but the actual play that this shot is from was the finish of an amazing pass by Shawn Horcoff. Check it out here: http://youtu.be/pAXnGfSEP3M. I Think it's interesting to see the video and compare it to the still shot. Man, the NHL is a fast game! One of Upper Deck Series 2's jobs is to show players on their new teams... and this is nice example of that. 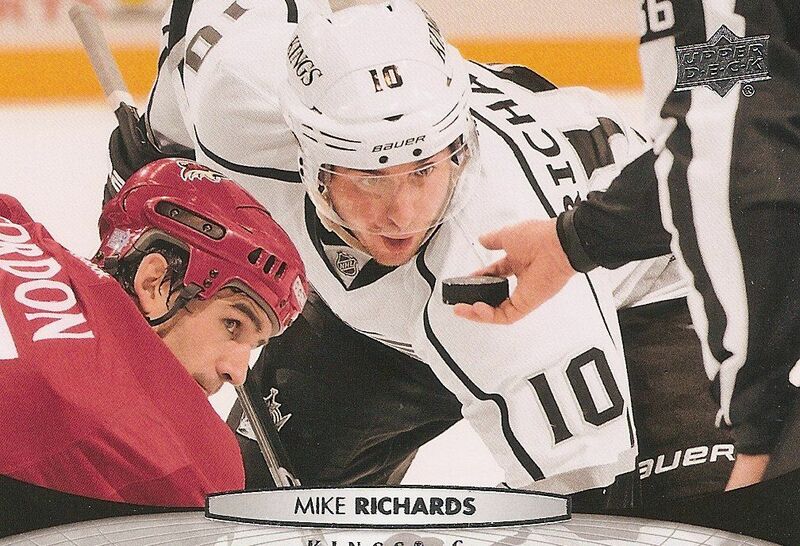 Mike Richards left the Philadelphia Flyers and joined the LA Kings for the 2011-12 season. Here he is in his new Kings uniform with an intense focus on the puck during a face off. The look he has is priceless! HE WANTS THE PUCK! Marc-Andre Bourdon on the other hand doesn't seem to want it as much. 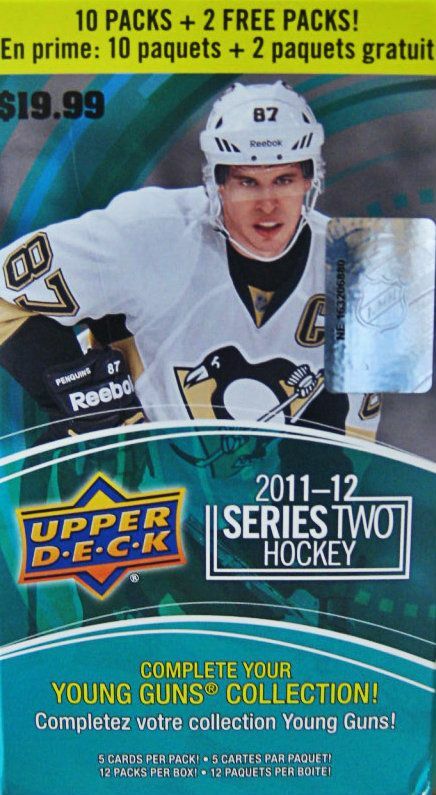 I'm a big fan of hockey cards that show moments that occur outside of the actual game's timeframe. There are so many things that go on with players before and after games that are of interest. I'm glad that card companies are now focusing some cards on these moments. Not to say I would like a card set with no on-ice action... that would be silly... but having some cards with a different aspect of a hockey player's routine is nice. Here we see Curtis Glencross knocking the pucks on to the ice as the skaters get ready for a pre-game warm-up. I just love the angle that the photographer gets here. The pucks are about to hit the ice and the action is ready to start up! Great angle and great moment here. I can't wait for this summer to be over to see this stuff happen again... hurry up 2012-13 season! And oh yea... hopefully no lock out too! For $20 I definitely did not make my money back on this blaster even though I had some very nice rookie names come out. Unlike last year's Series 2, this years is not holding its value too well. There is an off chance that some of the Young Guns in Series 2 will become real stars, and that could raise the value, but for now I would think it prudent to just save up a little more money and try a Series 2 hobby box if I really wanted to get some of the stuff. I love the look of UD this year, both UD series 1 and 2. I love the look of the young guns and for the most part hold their value(More so for UD1). UD series 2 is nice though because it has the nice inserts like the black victory rcs which look really nice. i agree the mvp rookie cards are sweet! The zibenijad is pretty nice. But I don't like how the young gun odds go from 1:4 to 1:6 between retail and blasters, but it's still kinda fun. Good break. nice hit on the hodgson! i'm still waiting for my big hit out of retail! I love the MVP rookies they look so cool that's why i'm doing the set. All the cards that you pulled were cool looking. I agree, I love the photography in UDS2! 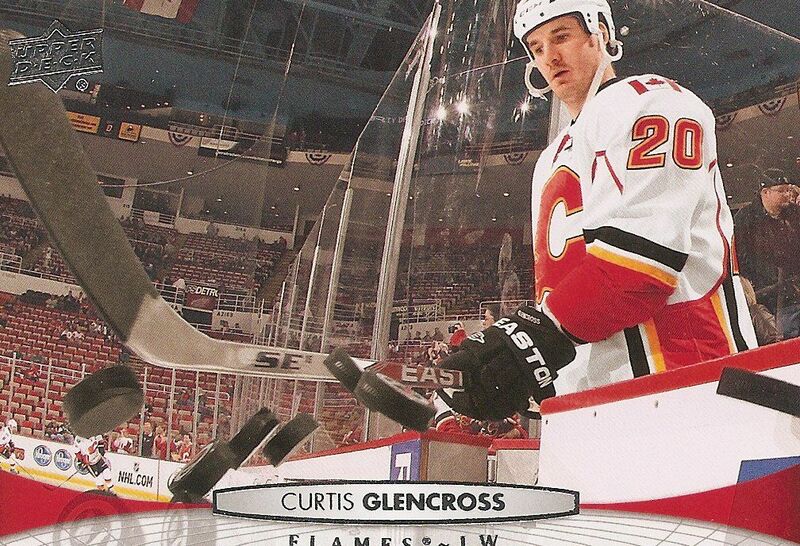 The photo of Curtis Glencross is very nice looking. In my opinion, I wouldn't buy the retail version of UDS2 because there aren't as much decent rookies as there are in series one. The main reason I bought Series Two this year is because I was chasing for the Leland Irving young guns. Overall, retail boxes are usually broken just for fun!